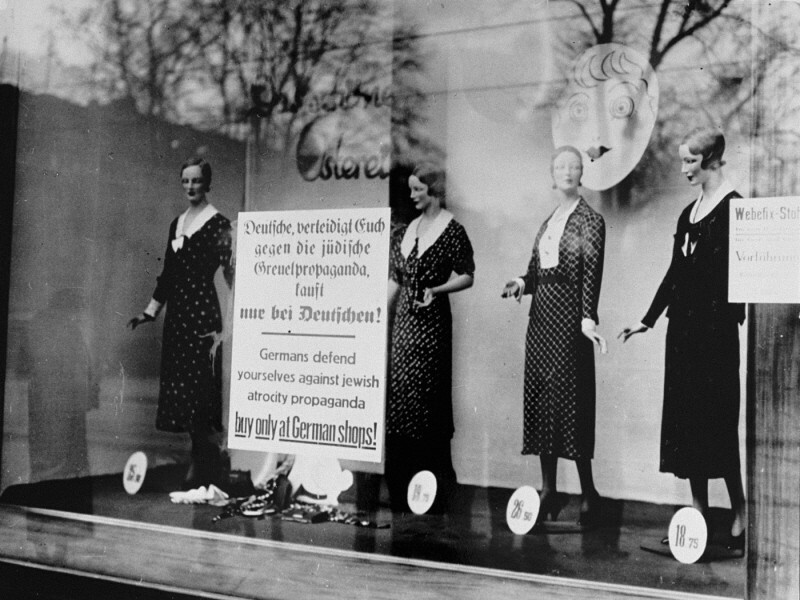 A boycott sign posted on the display window of a Jewish-owned business reads: "Germans defend yourselves against Jewish atrocity propaganda. Buy only at German shops!" Berlin, Germany, April 1, 1933.